This allows users to instantaneously view how organic social media conversations captured in Social Studio, Marketing Cloud’s social media marketing solution, are impacting overall marketing performance within Datorama alongside other marketing metrics. 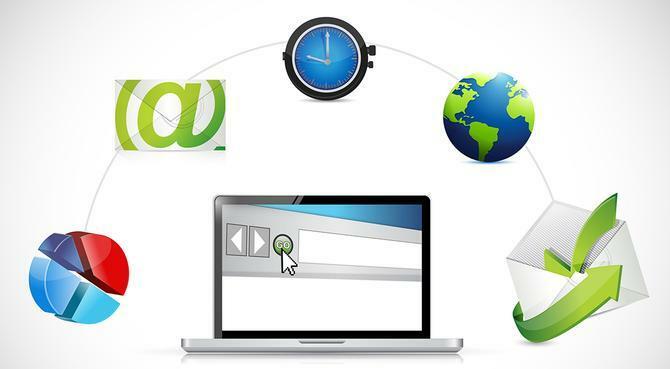 The features can also be used to better understand the performance of email marketing campaigns. Proximity is designed to make communication more personalised, proactive and contextual – fulfilling the promise of messaging as an acquisition and engagement channel. Businesses can use the features within the customer engagement platform to better build and maintain relationships with customers across touchpoints and gain a 360-degree view. Microsoft and LiveTiles are targeting the global commercial airline industry with a tailored Artificial Intelligence (AI) bot solution, LiveTiles’ Gate Agent Assistant Bot. The solution aims to improve the airline customer experience by reducing wait times in the high volume, high stress, environment at airport gates. To do this, LiveTiles’ Gate Agent Assistant Bot uses AI to provide automated responses and retrieve the information required to allow airline staff to more quickly respond to customer demands at the gate. Qlik has acquired the CrunchBot AI-powered analytics bot along with Crunch Data’s team of AI and solution development professionals. This expands Qlik’s existing augmented intelligence and cognitive capabilities by delivering additional conversational analytics leveraging Qlik’s platform and open APIs. Financial terms were not disclosed. “Bringing CrunchBot and Crunch Data into Qlik will help users more easily inject data regularly into workflows, making analytics an essential element in daily collaboration and decision making,” said Mike Capone, Qlik CEO. In a statement to Forbes, Zeta said the acquisition will sharpen its focus on customers’ purchasing intent and lifecycle. According to Zeta Global CEO, David Steinberg, the technology catalogues the Internet, showing what people are reading globally and what is trending. According to various reports, Candy Ventures, the investment arm of Candy Enterprises based in the UK, has purchased the company’s IP and plans to relaunch it. The company will reportedly continue to trade under the Blippar name and retain CEO and co-founder, Ambarish Mitra. The announcement came as the adtech player released key growth figures for 2018 which showed significant growth in several key areas, particularly mobile app and video monetisation. In 2018, PubMatic’s mobile business growth was driven by in-app video, which increased by more than 200 per cent year-over-year based on platform spend. Additionally, the company’s direct publisher partnerships more than doubled year-over-year in 2018.